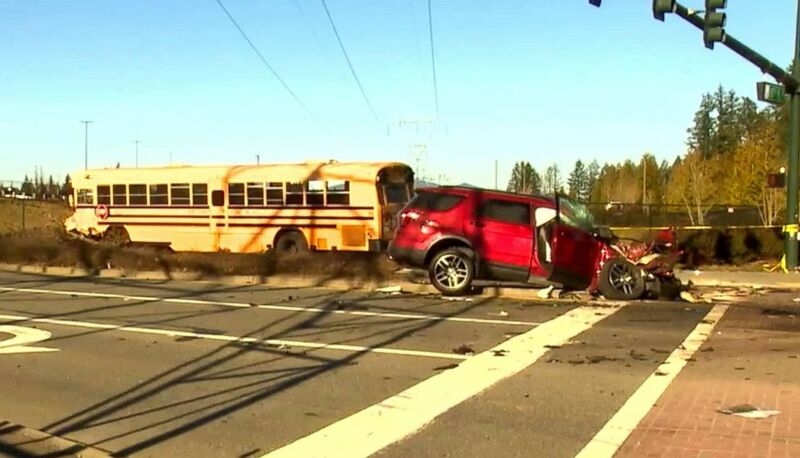 There were 28 students on the bus and six passengers in the vehicle. Surveillance video captured a collision between a school bus and an SUV in Washington state. (KOMO) An image made from video shows the aftermath of a school bus accident in Covington, Wash., March 18, 2019. Abbott said six males were in the maroon SUV, which was a rental car. Three of the males attempted to flee in opposite directions after the collision, Abbott said. They were hospitalized, with one in critical condition and two having sustained minor injuries, according to Abbott. 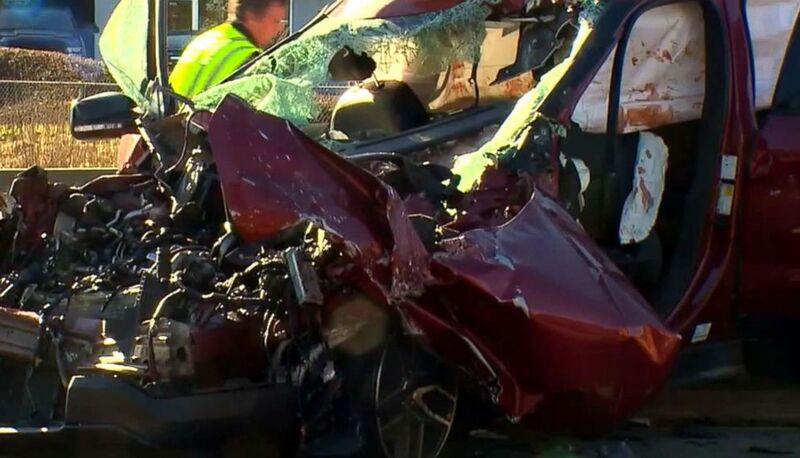 Abbott said the driver of the vehicle was also hospitalized in critical condition and the front seat passenger was initially taken to the hospital in critical condition before being upgraded to stable condition.